As the late night talk show circuit is in flux with hosts coming and going willy nilly, viewers looking for something more out of this world will be happy to know that genius astrophysicist Neil DeGrasse Tyson has set a premiere date and a stellar guest list for his upcoming series StarTalk. NatGeo has set StarTalk to debut on Monday, April 20, at 11 p.m. ET, so you can be sure that (insert weed joke here). StarTalk, which is a small screen version of Tyson’s acclaimed podcast of the same name, will deliver an hour-long look at the world of science and space, as viewed through the pop culture prism that has made Tyson a celebrity in his own right. Each episode will be filmed in front of an audience at the American Museum of Natural History in New York City, and fellow beloved brainiac Bill Nye the Science Guy will be featured in a pretaped segment where he presents his own views on the topics covered, such as technology and Star Trek. 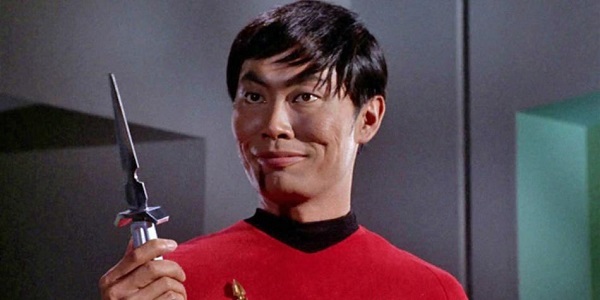 Speaking of the hit franchise, the first episode will take on the theme “Star Trek as Inspiration for the Future,” with series star and author George Takei popping by to talk about how the futuristic aspects of the show fit in with today’s society. Next up? None other than director Christopher Nolan, who will talk with Tyson about Insterstellar and how he peppers his films with his love for science. Will Tyson still have his initial opinions on the film, or will they have changed by that point? Comedian and Bob’s Burgers star Eugene Mirman will also be a part of that episode and others. Seriously, StarTalk’s guest list over its ten-episode stretch is pretty extraordinary, and strays far from network talk shows’ celebrities pimping their latest projects. Later episodes will feature journalist and fellow podcaster Dan Savage talking about love and science, Huffington Post co-founder Arianna Huffington talking about the Information Age and communication, astronaut Chris Hadfield discussing social media in space, and former president Jimmy Carter talking about eradicating epidemics. Other guests include author and biologist Richard Dawkins, Twitter co-founder Biz Stone, NASA administrator Charles Bolden, and iconic TV producer Norman Lear. This will be Tyson’s second attempt to bring science and knowledge to TV audiences en masse, as he was also the host of last year’s Cosmos: A Spacetime Odyssey. A gorgeous CGI-filled update on Carl Sagan’s classic 1980 series Cosmos: A Personal Voyage, the newer version garnered high acclaim, Emmys, and decent ratings. So here’s hoping StarTalk can follow in those intergalactic footsteps. StarTalk will debut on NatGeo on Monday, April 20, at 11 p.m. ET, with encores airing every Friday night at 7 p.m. ET.